More playing around. Displacement activities make the world go 'round. Taken at the Stasi Museum in Berlin and "reflecting a world of (eco)resistance in the DDR period", as Bas put it. It inspired me to whip together the poster above. 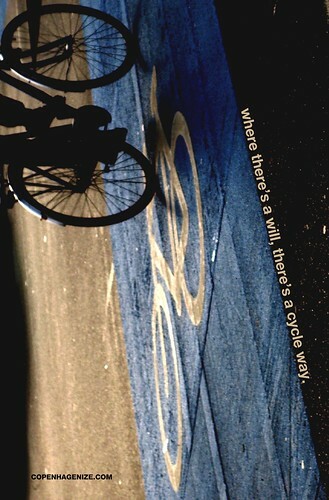 It reads "Where there's a will, there's a cycle way."